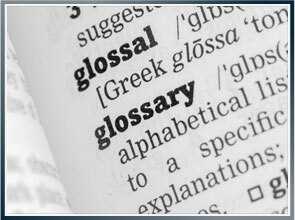 Our maritime trial lawyers have compiled a glossary of legal terms. If you or someone you love has suffered an injury in a maritime accident, contact Latti & Anderson LLP today for a free consultation. Individual, corporation that handles the processing of a claim for the insurance company of the Defendant. An adjuster represents the interests of the insurance company and does not represent your interest and is adverse. Payment of money by the insurance company in advance of any settlement or receipt of money from a judgment from trial. Unless negotiated, advancements will be deducted from any money you receive at the close of the claim. A party’s written response to a Complaint. Transfer petition to a higher court for review of evidence and law to determine if any errors were made by the lower court. When the parties in an action submit to an arbitrator, who will hear evidence and make a binding decision as to the outcome of the case. It is a form of binding dispute resolution in a non-court setting, conducted by arbitrators who are not currently judges. Legal defense which reduces Plaintiff’s damages received based on the degree of Plaintiff’s fault, if any, that is determined by a judge or jury. It is the jury or judge who determines the amount of comparative negligence based on evidence presented. Comparative negligence can range anywhere from zero to 99.9%. Plaintiff will recover some measure of damages if he/she is found less than 100% at fault. Plaintiff will receive nothing if jury or judge found the Plaintiff 100% at fault. Example: If the jury finds Plaintiff 10% at fault and awards $1.00, Plaintiff’s amount is reduced by 10%, and the Plaintiff receives only 90 cents. Legal document that sets forth the claims and legal basis of a lawsuit/civil action. A lawsuit is commenced with filing of a Complaint. Legal defense that reduces Plaintiff’s damages received based on the Plaintiff’s degree of fault, if any, that is determined by a judge or jury. Plaintiff can only recover if the contributory negligence of Plaintiff is 50% or less. If judge or jury awards 51% contributory negligence, Plaintiff will recover nothing as it will bar recovery. The goal of damages is to compensate someone for the injury or death of person, to restore person or family to where they were prior to injury and to measure in financial terms the extent of harm the Plaintiff has suffered. Person against whom a lawsuit is brought – the party who is sued. The person who will defend an action and file an Answer to the Complaint. Occurs during the discovery phase of a lawsuit when an attorney asks a variety of questions on a number of topics under oath. The person being questioned, called the deponent, can be anyone from Plaintiff, Defendant, an accident witness or a medical provider. The process is recorded by a court report reporter who will produce a written transcript of the proceeding. No judge is present during the proceeding. Time period in a case where each party gathers information and evidence to support their claims and defenses in a case. Court established by the authority of federal government derived from the U.S. Constitution. Federal Courts hear and decide cases involving the U.S. Constitution, federal law, admiralty cases, patent, labor law, federal tax cases and cases where the parties are from different states and the amount in dispute exceeds $75,000.00 or more. Body of procedural rules which govern all civil actions in United States District Court. They are the methods, procedures and practices used in civil cases in United States District Court. Body of procedural rules, which govern the admissibility and use of evidence in all actions in United States District Court. Intensive evaluation and testing, generally requested by insurance company, that focuses on physical tolerances and abilities of an injured party. The purpose is to collect information regarding functional and vocational status to find out what the injured person is capable of. A doctor hired by the Defendant’s insurance company examines a Plaintiff to determine diagnosis, cause of injury, extent of injury and status of condition and future treatment and to find out whether the Plaintiff is at maximum medical improvement. The doctor is not neutral and represents the interests of the Defendant and the insurance company. A public official, who may be appointed or elected, who has the authority to hear, determine and preside of legal matters brought in case. Judges are almost always attorneys. Judicial Officers who assist United States District Judges in getting cases ready for trial by hearing initial proceedings and discovery disputes. A magistrate judge may hear and decide a case if both parties agree to have the case heard by a magistrate judge instead of a regular judge. Non-binding dispute resolution where an independent, neutral person tries to assist the parties in the settling/resolving of the case. The independent person is called a mediator and is usually an attorney or retired judge. Failure to use reasonable care. A person is negligent if he fails to act as an ordinary prudent person would act under the circumstances and his failure results in another person’s injury. Person who brings a lawsuit. A federal law in which the U.S. government waives sovereign immunity. The PVA provides a right of action, for damages caused by public vessels. A public vessel is any vessel owned or operated by the United States. This means an injured merchant seaman or his/her family can sue the United States for an injury or death occurring on a vessel owned or operated by the United States. In claims brought under the PVA and SAA, notice must be given within 22 months of accident, injury or death and suit must be commenced within 2 years. If not, your case will be dismissed. A contractual agreement which gives up all rights and claims that exist between the parties arising out of the dispute, injury and/or lawsuit. To be valid, a release has to be supported by adequate consideration, such as money. A release will bar any further cause of action. Resolving a dispute or lawsuit without a verdict in a trial. In a personal injury or wrongful death case, a matter is settled when both parties agree to a monetary amount that Defendant will pay to resolve the lawsuit. A release will be signed as part of the settlement and lawsuit will be dismissed if it is pending. A federal or state law that restricts the time within which a lawsuit may be brought. If a lawsuit is not brought within the statute of limitations, your case will be dismissed as being untimely. Through this act, the U.S. government waives sovereign immunity. This act provides the jurisdictional basis to bring a claim. A claim is brought along with the Public Vessel Act (PVA). In claims brought under the PVA and SAA, notice must be given within 22 months of accident, injury or death and suit must be commenced within 2 years. If not, your case will be dismissed. After an accident, the Defendant and/or its insurance company will want to take a tape recorded or written statement of the injured party or witnesses. The person who is taking the statement is trained to ask questions and direct the questions to place blame on the injured or deceased party. You do not have to give a statement to the Defendant and/or its insurance company if you do not want to. An adversarial proceeding to hear evidence and decide legal issues and claims. A trial can be heard and decided by a judge or a jury. If the ship owner’s vessel, equipment or crew are in any way inadequate for the purposes for which they are intended, and as a result of said inadequacy a seaman is injured, the vessel is unseaworthy and the ship owner is responsible to the seaman for damages. The vessel, equipment or crew was not reasonably fit for its intended purpose, or some condition of the vessel prevented it from being reasonably fit for its intended purpose. Unseaworthy conditions can be temporary.